Dr. Cathy Milam has practiced dermatology in Sarasota, Florida since 1989. 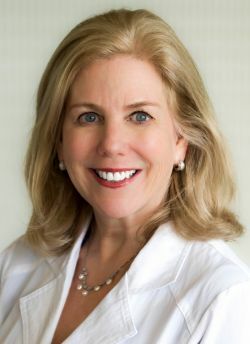 She has consistently been named one of Sarasota’s Top Doctors by Castle Connolly and Sarasota Magazine for the last 20 years. Over the past 25 years, Dr. Milam has developed a reputation for providing consistently excellent and compassionate dermatologic care. She excels in the management and diagnosis of skin cancer and skin disease. Dr. Milam graduated from the University of Florida in 1980 after completing her bachelor of science degree. She graduated from the University of South Florida College of Medicine in 1983. After completing her internship in Internal Medicine at the University of South Florida affiliated hospitals, she then completed her Dermatology residency at USF in 1988. 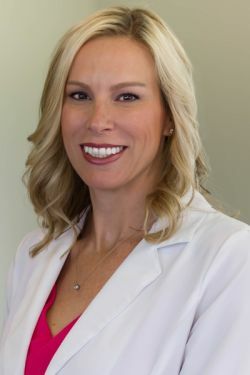 She was initially a full-time faculty member in Dermatology at the College of Medicine; after moving to Sarasota and starting her full-time practice, she remained as an adjunct faculty member for several years. Dr. Milam is married to Michael Milam, MD. He is an infectious disease specialist who practices with Infectious Disease Associates here in Sarasota. She is the mother of three children, Emily, Allison, and Kimberly. Dr. Bogart graduated with highest honors from the University of Florida College of Medicine in 2002. 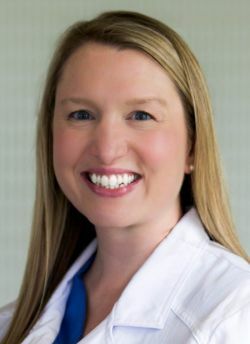 She completed her internship in Internal Medicine in Norfolk, VA and dermatology residency at the University of Virginia in 2006, which is nationally recognized for both medical and surgical dermatology. In her third year of dermatology residency, she served as the chief resident. Following residency, Dr. Bogart completed a much sought after Mohs surgical, laser, and cosmetic dermatology fellowship at SkinCare Physicians in Boston, MA. There she was trained by dermatologic surgeons from Harvard, Yale, and Boston University who are nationally and internationally recognized for their contributions to the field of dermatology. Dr. Bogart has written numerous articles on general and cosmetic dermatology topics. Amongst others, her work has been published in journals including Dermatologic Surgery, Pediatric Dermatology and Archives of Dermatology. Dr. Bogart is board certified in dermatology, is a Diplomate of the American Board of Dermatology, and a Fellow of the American College of Mohs Surgeons. She is also a member of many honorary societies including AOA and Phi Beta Kappa. In addition, she is active in the American Society for Dermatologic Surgery, the American Academy of Dermatology, and the Women's Dermatologic Society. 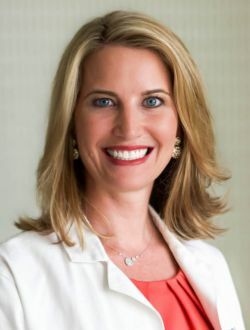 She has also been named one of Sarasota's Top Doctors by Castle Connolly and Sarasota Magazine. As a Mohs Surgeon, Dr. Bogart has completed an intense one-year fellowship that is approved by the American College of Mohs Surgeons. She is an expert in all aspects of skin cancer surgery. This includes basal cell carcinoma, squamous cell carcinoma, malignant melanoma, as well as other forms of skin cancer. Dr. Bogart specializes in the diagnosis and repair of skin lesions, including cosmetic reconstruction following skin cancer removal, skin grafts, and skin flaps. In addition to Mohs surgery, Dr. Bogart has particular expertise in cosmetic dermatology and has been involved in several clinical trials investigating state-of-the-art cosmetic therapies. She specializes in multiple treatments for facial rejuvenation including injection of Botox®, Xeomin® as well as, Restylane®, Juvéderm™ and other filler substances. 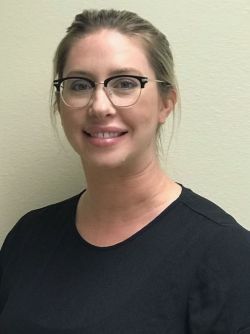 Molly Prichard, ARNP, is an Advanced Family Nurse Practitioner certified by the American Academy of Nurse Practitioners and licensed to practice in Florida. She holds both a BSN and an MS in Nursing from the University of South Florida, and has been practicing dermatology in Sarasota since 2014. In addition to dermatology, she has experience in family practice, cardiology, oncology, and women’s health. Molly has lived in Sarasota since she was five, and she and her husband recently welcomed their first child. 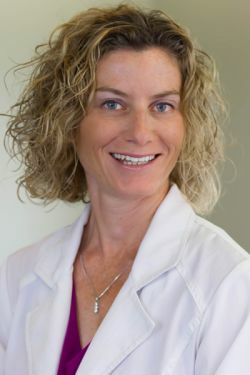 Brooke Robbins, ARNP is an advanced registered nurse practitioner who has been practicing in dermatology in the Sarasota/Bradenton area since 2001. She has a Bachelor of Science in Nursing from the University of Vermont and a Masters of Science in Nursing from the University of South Florida. 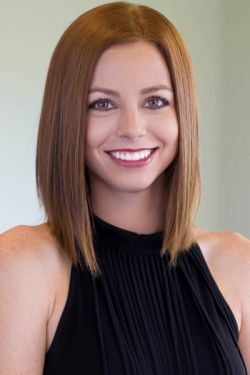 Brooke is licensed in the state of Florida as an advanced nurse practitioner and is Board Certified by the National American Nurses Credentialing Center. Susan Lynch is a board-certified physician assistant (PA-C). 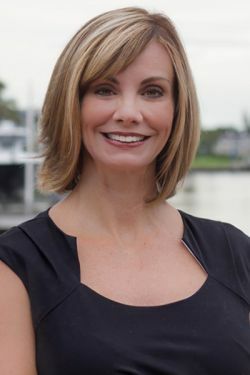 After graduating from the University of Florida with a bachelor's degree, Susan decided to continue her education at Nova Southeastern University where she earned a second Bachelor's Degree in Physician Assistant Studies as well as a Master's Degree in Medical Science. Susan is a Florida native and previously practiced in Naples where she worked for several years specializing in aesthetic medicine as well as sclerotherapy for spider veins. Her clinical skills over the years have given her advanced experience in soft tissue injections. She is licensed to inject Botox and dermal fillers including Juvederm, Voluma, Volbella, Vollure, Restylane, Silk, Lyft, Refyne, Defyne, Belotero, Kybella and Radiesse. In addition to facial injections, Susan is licensed to operate lasers for multiple indications including facial rejuvenation, photoaging, rosacea and vein treatments. Aesthetic medicine is one of Susan's passions. She is highly knowledgeable and expertly skilled. Kristi graduated in 2007 from the Florida College of Natural Health with a Paramedical Degree. She graduated with honors and was the one unanimously selected by her teachers, administration and peers as the sole recipient of the “touch of beauty award” for her hard work and dedication. Kristi has been with us since 2008 and specializes in beautifying the skin through various services. Kristi is certified in performing Ultherapy treatments. She excels in a variety of facials, chemical peels, microdermabrasion, dermalplaning, and develops home care regimens using pharmaceutical strength skin care. Jaime Smither was born and raised in Sarasota, FL. She graduated from Florida College of Natural Health earning her license in Aesthetics. She has been practicing Medical Aesthetics since 2011. Jaime specializes in individual care treatment plans for rosacea, acne and anti-aging treatments and educates her patients on maintaining and improving healthy skin by customizing skin care regimens utilizing her in depth knowledge of products and services offered. Her passion is helping people achieve their skin care goals. While not at work, Jaime loves being with her family. She has two very active boys who enjoy being outdoors and playing sports. Martha Stuckey is a Licensed Aesthetician from Gainesville who moved to Sarasota and joined our team. She has extensive experience in medical and cosmetic skin care. Martha consistently provides excellence in customizing treatments to bring out the skins natural glow. She takes pride in establishing trust in her patients and gives individual attention to their needs offering a personalized skin care regimen designed with each skin type in mind. Martha enjoys Gator football and spending time with her husband and two young boys.